Of course we all love to watch scary movies during Halloweentime, because we all love fun, BOO!, and we all have to have some fun right now while we’re alive because who knows how long it’s gonna last and every day it seems less and less likely that it’s gonna last much longer at all. Personally, I’ll probably watch a scary movie tonight because it’s cold outside, and by nightfall it will only be colder. Which movie will I watch? It’s none of your business. Please don’t pry, or attempt to make this about me. There are a lot of spooky Twilight Zone episodes, and they teach you morals, which is important. (Morals is important.) But even the not-necessarily-spooky ones are scary, because it’s scary to learn about the darkness of humankind, and it’s scary to learn a lesson. “Deaths-Head Revisited,” for example, is just about the holocaust. Though it’s also about a ghost. So, maybe that one is a necessarily spooky one. “One More Pallbearer,” though, which is in the same season, is not a particularly necessarily spooky one until it forces you to think about how the main character — a very rich, deluded man obsessed with getting revenge on those who have embarrassed him in his past — who has decided to fake a nuclear attack in the basement of a NYC skyscraper that he owns, in order to force these people to apologize for wronging him — is very similar to Trump, which makes you feel like someone on-line who compares a current event to Gryffendorm or Snapes. And that’s scary, seeing that in yourself. Where you mind can go. But, “no duh,” of course, you can just watch the normal scary ones. “Nightmare at 20,000 Feet.” “The Masks.” “Living Doll.” “The Monsters Are Due On Maple Street” “Mirror Image,” which is loosely about Twitter. “Time Enough At Last” is very scary, especially of you’re a contact lens-wearer. We would be much worse off in that scenario, over time. At least a glasses-wearer can think for a moment that they have time enough at last to read all those books, but a contact lens-wearer immediately has to think about what they’re going to do, now, about their contacts. Just be blind, ultimately. What you need for the Twilight Zone night is: blankets, snacks. Doesn’t this sound good? I’m making it up as I go along. You can make a “Twilight Zone cocktail,” or you can have a”Twilight Zone wine.” When you Google “Twilight Zone Cocktail” all of the cocktails that come up look tropical, but I think a “Twilight Zone cocktail” would either be black or clear in color and it would be served up in a martini glass. You can figure out whatever ingredients you want. Maybe it’s like a Moscow Mule but served up, with this black vodka, and you put a marble in there. (Be careful.) “Twilight Zone wine,” however, is any wine you drink while watching the Twilight Zone. 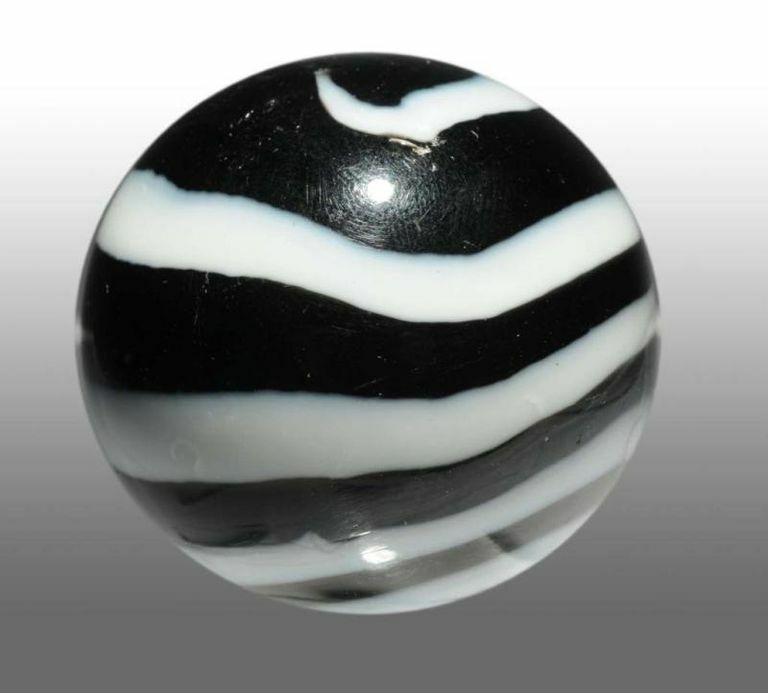 For snacks I would suggest black and white cookies. 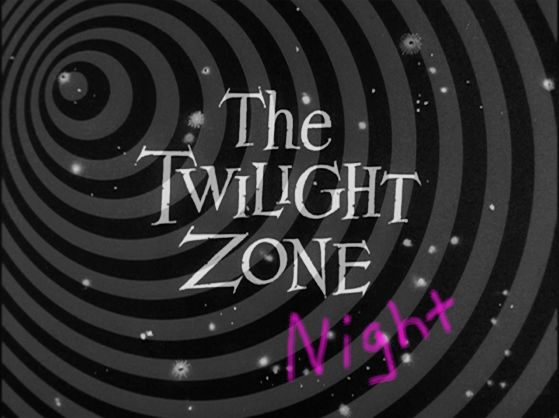 Who do you have your Twilight Zone night with? Friends, a loved one. Your wife. A dog. What do you wear? Suits, or non-suit regular clothes. Where do you have it? It is a dimension as vast as space and as timeless as infinity; the middle ground between light and shadow, between science and superstition; a dimension that lies between the pit of man’s fears and the summit of his knowledge: your apartment.